Word?!?! Foom #15 First MS. MARVEL?!?! 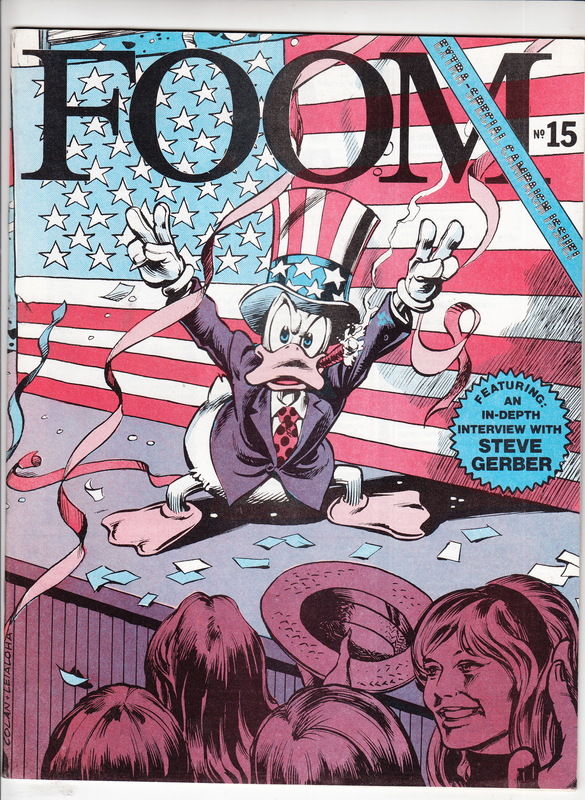 Revealed earlier this week on Google + and that new Investment Blog..
Foom Magazine #15 came out in September of 1976. 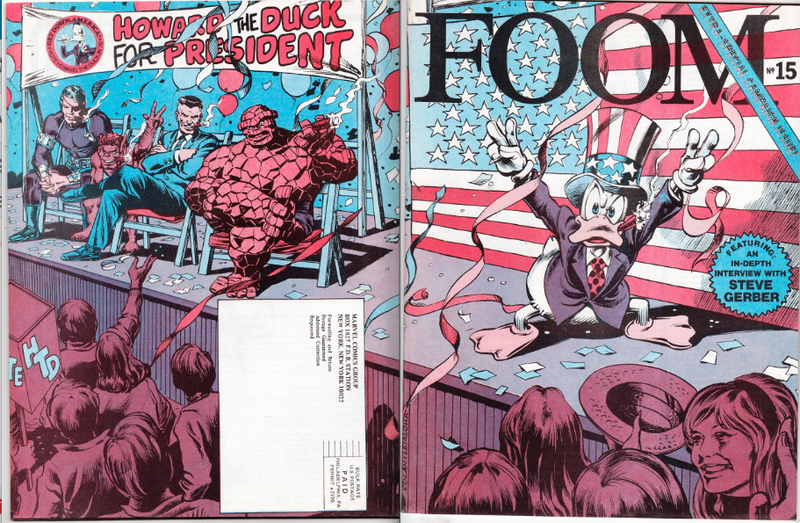 It features a two page written interview with Marvel Creators about “whats next”, and a full page splash of Ms.Marvel by “Jazzy” John Romita Sr. and a preview image of the full cover for Ms.Marvel #1. The current established first appearance of Ms. Marvel is Ms. Marvel #1 was published by Marvel in January of 1977. 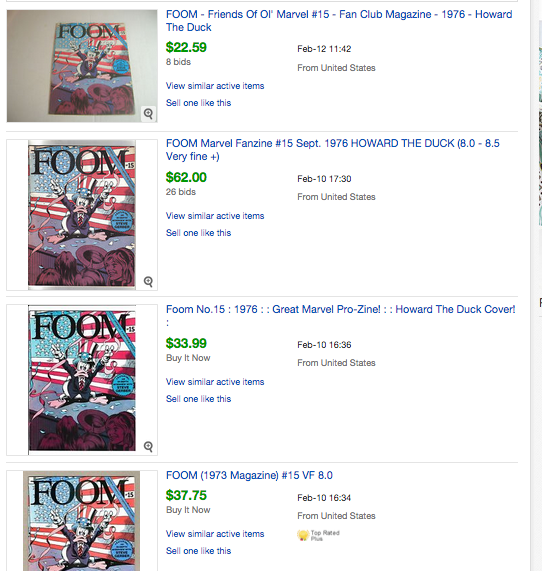 So… Foom #15 came out Four months before Ms. Marvel #1 and features a Cameo at worst of Ms. Marvel. The First Cameo appearance. This revelation has resulted in a plethora of copies selling on ebay ranging from $25 to $65 – with the highest Graded CGC 9.6 copy selling for $165 USD, this week. Even though almost all reasonably priced available copies have sold on almost every online platform, this book can still be found in the wild in near mint condition for under $30, with lower grade copies going for much less. This is a book with a lot of potential growth. While more people start talking about this book and its Ms. Marvel pin-up, the books value can only grow. Should I talk about Batman #475? I know i am eager to hear about Batman #475! I am digging it out in anticipation! Love your tips. Yes, please. Would love to hear an update on Batman 475. I picked up a near perfect copy just before Gotham premiered! 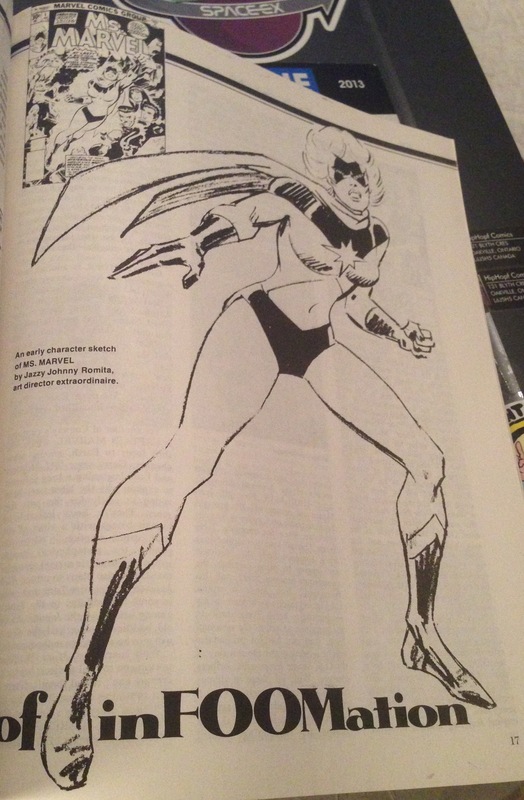 Probably worth noting that Amazing World of DC Comics 6 (cover date May 1975) has a similar sketch of Power Girl that predates All-Star Comics 58 by some months.